In this post, I am going to quickly share how you can add Facebook Messenger to your OS X’s built-in iMessages Application. 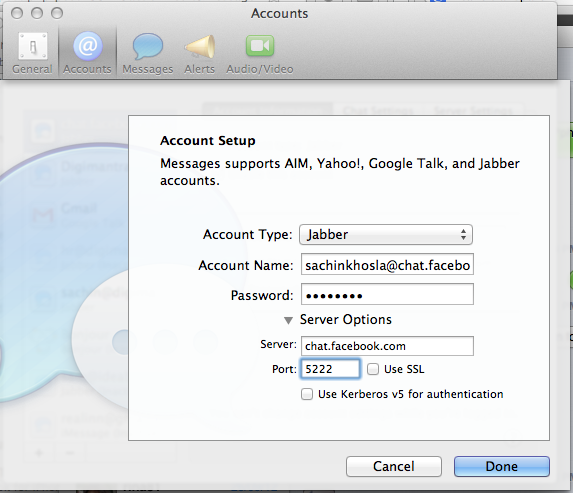 Follow these steps to setup the Facebook Chat Messenger on your iMessages app. 2) Goto Accounts Tab and Click on “+” icon to add a new account. You can view these settings in the image below, to ensure that you input correct values.